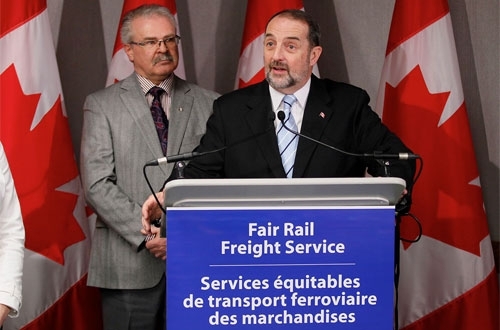 The Honorable Denis Lebel (center), Minister of Transport, Infrastructure and Communities, along with the Honorable Gerry Ritz (left), Minister of Agriculture and Agri-Food, announce the Fair Rail Freight Service Act in Winnipeg, MB, Canada. On Dec. 11, the Canadian government introduced the Fair Rail Freight Service Act bill, which will give companies that ship goods by rail the right to a service agreement with railways. It will also create an arbitration process to establish an agreement when commercial negotiations are not met. This bill follows recommendations made by the Rail Freight Service Review Panel in 2011. The panel’s report encouraged the use of bilateral service agreements between shippers and railways as a way of bringing more clarity, predictability and reliability to rail service. 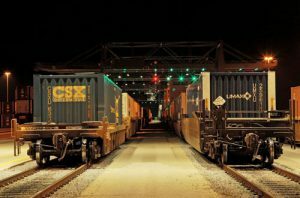 According to the Canadian government, the new process aims to create an incentive for shippers and railways to negotiate service agreements commercially. If these negotiations are not successful, shippers will be able to trigger a fast arbitration process with the Canadian Transportation Agency. The goal of the legislation is to encourage railways and shippers to work together. An administrative monetary penalty of up to $100,000 could be issued by the Canadian Transportation Agency for each violation of an arbitrated service level agreement. This is in addition to other existing remedies in the Act (e.g. Level of Service Complaint) to ensure railways meet their service obligations. Claude Mongeau, president and chief executive officer of Canadian National, says that, putting aside normal operational and commercial issues, there is no evidence of systemic rail service performance problems in Canada warranting the federal government’s introduction of legislation to impose level of service obligations on railways through increased regulation. 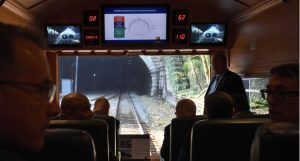 Mongeau said, “The objective fact is that Canada has a world-class rail system, one known internationally for efficiency and reliability, a key asset for a trading nation like Canada, and that reflects a well-functioning market for rail services. “The government’s Rail Freight Service Review (RFSR) process launched in 2008 was a key factor in spurring further improvement in rail service. CN addressed every commercial recommendation of the RFSR panel to improve service, entering framework cooperation agreements with a wide array of stakeholders and level of service agreements with many of its customers to increase supply chain collaboration and deepen customer relationships. 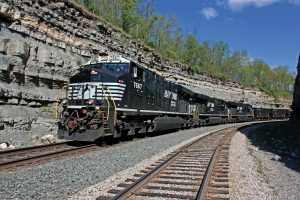 “Jim Dinning, while heading the RFSR’s railway-shipper facilitation process, recognized this fact, saying in his report that commercial forces were already driving improved rail service and advising the government that shippers should take advantage of the improved customer focus of the rail industry. In recent years, CN has launched a comprehensive series of commercial initiatives that benefit our supply chain partners and the Canadian economy. 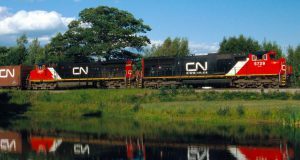 CN is committed to helping its customers be more competitive in markets at home and abroad through better service and a relentless focus on continuous improvement. “This is why I am troubled by the government’s decision to introduce service legislation that is inconsistent with the facts underscoring improved rail service, as well as the government’s stated agenda of innovation and productivity to foster economic prosperity for Canadians. I also believe the legislation sends mixed signals to customers and suppliers around the world about the government’s approach to commercial markets in Canada. Canadian Pacific agrees. CP said that throughout the RFSR process, it has maintained there is no need for additional regulation between railways and shippers, as it is the company’s belief that commercial undertakings, coupled with a stable regulatory regime, remains the best approach to promote supply chain coordination and investment. “The proposed legislation contains key elements of the Dinning Report,” said CP President and CEO E. Hunter Harrison. “We firmly agree that improvement in Canada’s world-class rail supply chain will best be achieved through offsetting commercial undertakings, in particular, better traffic forecasting and more certainty on traffic volumes. 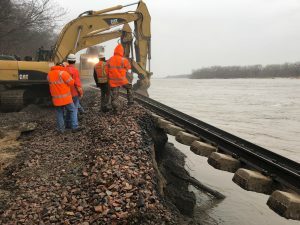 “CP has been implementing various commercial agreements that were included in the Dinning Report’s recommendations, including a service agreement template and a commercial dispute resolution process. As such, we are confident strong commercial relationships will continue to emerge with little need for the processes described in the legislation.